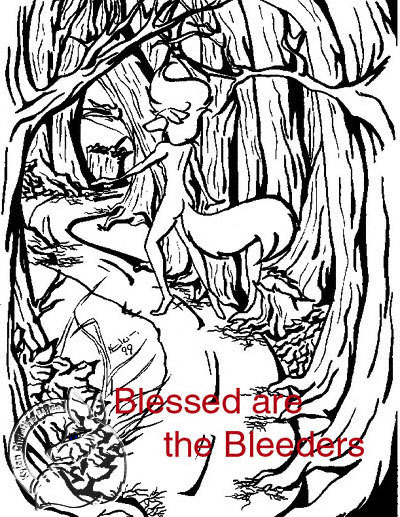 Alethia's "Blessed are the Bleeders"
I have Heard a Lot of Things about this Fan Fiction; What is it all about? "Blessed are the Bleeders" is one of my many unfinished fan fictions, but one of my favorites and the one of mine that most people have heard about and have read. The cetral plot is that Alethia, plagued by horrific visions and unintentionally annoying her companions, flees her current Road Rover position and visits the run down and empty Perris Park to collect her thoughts. However, she disappears from there and winds up in the clutches of the Cano Sapien war lord, Dace, and his dangerous, Heart-named troops of dogs. There, she is imprisoned with various other Cano Sapiens, and it is all she can do to keep her wits.